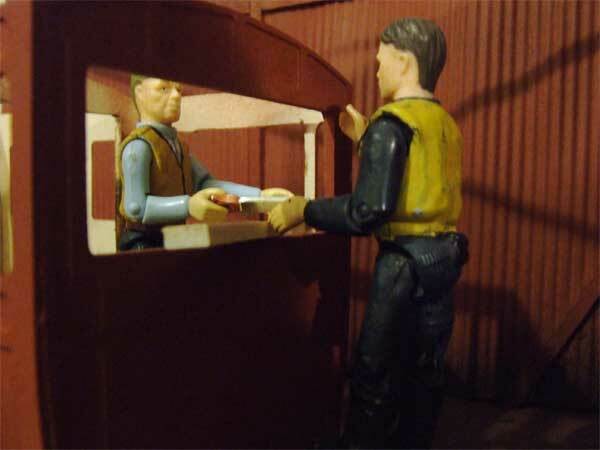 A bleak and cold winter it might be but things are warming up in the workshop!Â Work started some time ago on the new railbus and has been progressing fast.Â Of course, the workers do have to take a break at some time! Hamish, ever ready with his hammer, is still having trouble with the battening round the door.Â He is at his happiest when he is banging something! 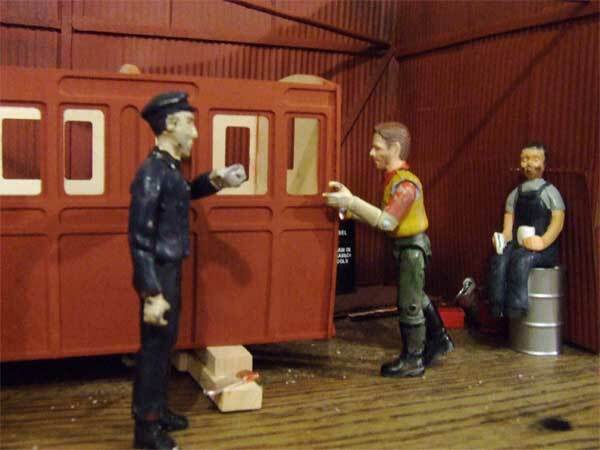 One of the biggest jobs is painting, there’s a lot of undercoat to do on a railbus as Terry will tell you.Â And when the outside is done, there is the inside to start. 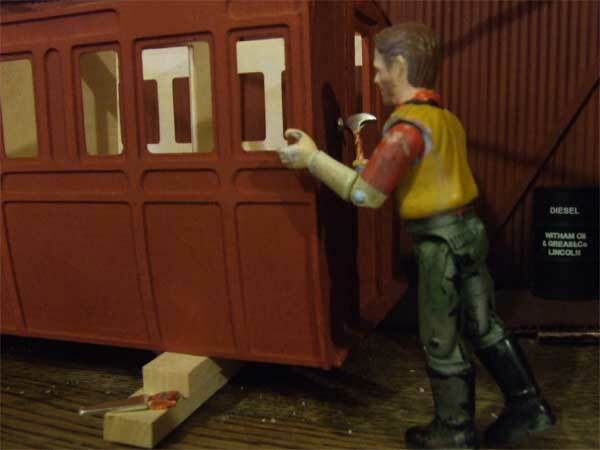 We will let you know on how the railbus is coming along over the coming weeks but as you can see it won’t be long before it will be wheeled out ready for its test run.Â Now, where was that bit of wood supposed to go?